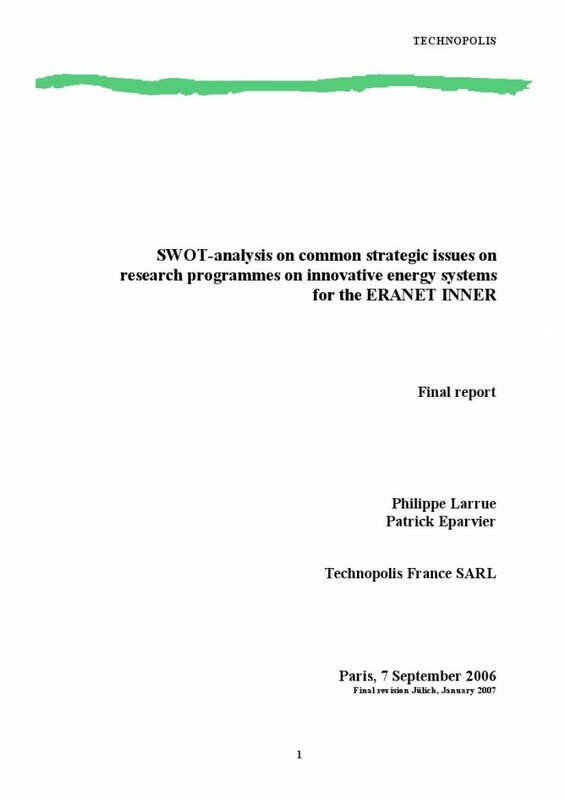 The ERANET INNER has the objective “to establish cooperation between European national research programmes that stimulate innovative energy research”. This cooperation will contribute to the coherence and coordination of the European Research Area, through benchmarking of approaches and a set of joint trans-national programme activities. Author: Laurre, Phillippe et al.